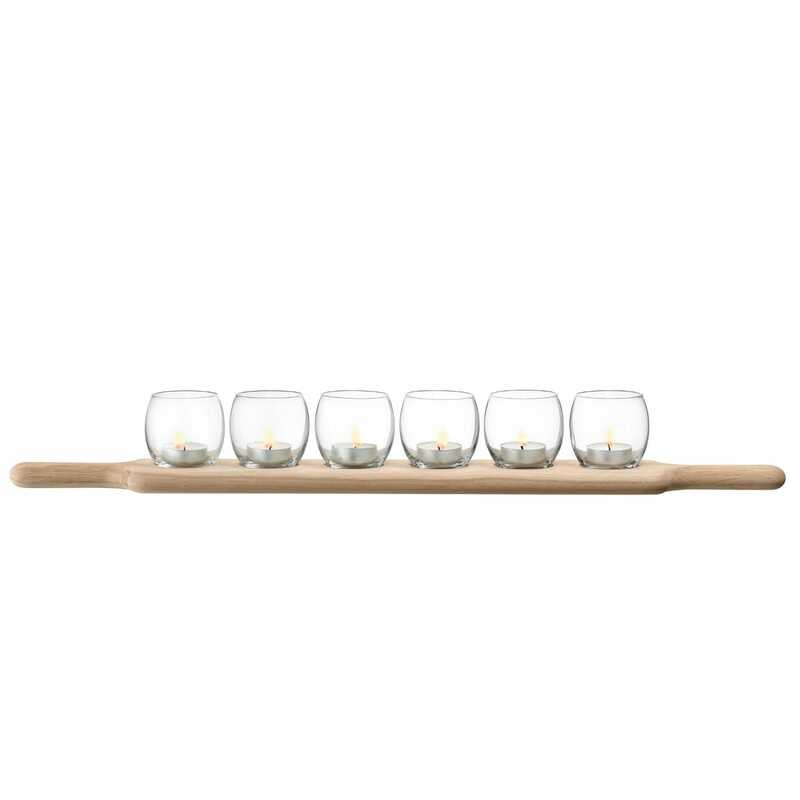 This paddle set consists of a beautifully formed glass tealight holder crafted from sustainably sourced oak. As an accessory to the dining table, or as a mantelpiece accessory, the natural oak board complements any setting. Three tealights - included with the oak board - nestle within specially-made holes. When lit, the tealights give off a warm welcoming glow as light gently reflects off the glass and illuminates its surroundings. The ideal dinner party mood setter.